You need a permit from the health department when putting in a system on 5 acres or less of land. When you call your registered installer, they should know the process on how to receive one. No, unless you attend the state certified training course, and become a registered installer. Do I have to have 5 acres or more to have a lagoon? No. As long as your property allows the installer to meet the required set-back distances, you can have a lagoon. 24 hours after your sample is dropped off. What days can I purchase a test kit? Mon – Fri between 8-12 and 1-5. What days can I drop the test kit off? Mon – Thurs between 8-12 and 1-5. We DO NOT accept samples on Friday as we will not be in the office Saturday to check the results. I have had some livestock die, can I test my pond water? The majority of our services are provided on a “walk-in” basis, and no appointment is required. Our normal services are offered Monday – Friday, 8:00 – 11:30 AM and 1:00 – 4:30 PM. Services that do require an appointment are:Footcare/Toenail Trimming Clinic, CPR Classes, and Child Safety Seat/Safe Crib Distribution. Can I get labwork done at the Health Department? Yes; we offer a low-cost Community Laboratory Program. You would need a doctor’s order and results are sent directly back to your doctor’s office. When are CPR Classes offered? Each month we schedule 4-6 CPR classes. These classes include: BLS (Healthcare Provider), First Aid, CPR, and AED training. All classes are certified through the American Heart Association. Class length and cost depends upon the type of class needed, and you must have a valid email address to receive your certification card. To schedule a class, contact our Instructor Kim Bailey at 417-532-2134. Does the Health Department have doctors or nurse practitioners on staff? Our programs and services are administered by Missouri licensed nurses, who work under close supervision and orders from local physicians. We do not have in-house doctors or nurse practitioners that can see patients. Can I receive a Temporary Medicaid Card at the Health Department? In the past, our agency did offer this service. Unfortunately, after learning clients were having issues being covered under this program, the decision was made to stop providing the Temporary Medicaid Cards. We recommend that once you have verified your pregnancy, you visit the local Department of Social Services office as soon as possible to get your coverage started. What hours is WIC open? The WIC office is open for services Monday – Thursday, from 8:00 – 11:30 AM and 1:00 – 4:30 PM. WIC is closed on all Fridays. A “Walk-In” clinic is held the last Wednesday of each month, and no appointment is necessary for this special clinic. Be a Missouri resident (live in the state). Your income must fall within the established guidelines. Be a Pregnant, Post-Partum (already delivered), or Breastfeeding Woman. Infants and children under 5 years old. 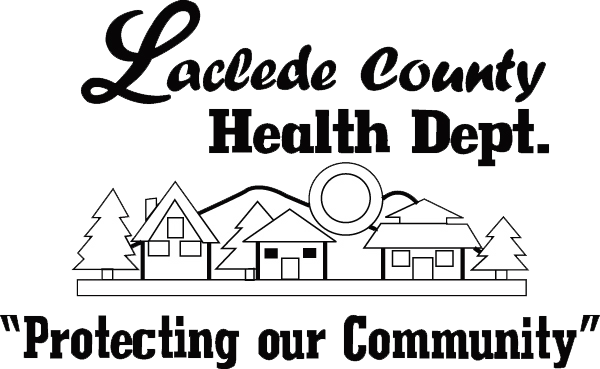 Do I have to live in Laclede County to get my WIC at this location? No; you can receive your WIC services at any WIC location that is most convenient for you. During appointments, the WIC staff will check to see if your family is eligible. This is called “certification”. You will need to provide the following for proof: Identification, Income, and a document with your Address on it. If your infant/child(ren) is on WIC, they must be at the certification appointments with you. Once you receive your “WIC Folder”, always remember to bring that too. When will I be able to receive WIC foods? (1) After your eligibility has been determined, and (2) after a certification/appointment has been completed.